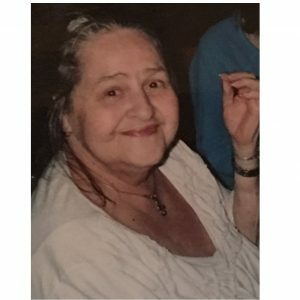 Margaret Ann Grohs aka Watson passed away on July 7th, 2018 at 1:09 p.m., in her family home. Unfortunately she was diagnosed with Non – small cell lung cancer on May 30th, 2018 and brought home with hospice services on June 3rd, 2018. The cancer had rapidly spread throughout her precious body and we were told there were no treatment options. Margaret Ann was surrounded by her family who had taken care of her until the end of life. Margaret Ann was born in Portland, Oregon to the parents Josephine E. Blaumer and William E. Shepard, however raised by her stepfather Elwood Faulkner and Josephine Blaumer. Josephine was a Cook at many elderly care homes, William was a Truck Driver and Elwood worked for the railroad. She was raised with many farm animals and both Elwood and Josephine were avid gardeners. They were both very hard workers and always provided for their immediate and extended family. Margaret Ann spent a lot of time with her grandparents Anna and Joseph Blaumer who loved and cared for her dearly. As a young child she loved helping with the chores and joys of raising various farm and domestic animals and gardening. She was always known for her ability to grow anything and generally had a houseplant hospital bed for her friends who were not so talented. Margaret attended grade school, high school and Community College which she studied human psychology. Her greatest passion was being a housewife, mother and grandmother however worked caring for the elderly and mentally ill as an office support staff and attended peer support groups to help others succeed and overcome difficulties as a person diagnosed with mental health issues. She lived a modest lifestyle however sharing every dollar she earned with those she loved and came in contact with over her lifetime. Margaret loved her flowers as much as she loved her children, grandchildren and great grandchildren. Every person she met became a loved and cherished friend, never having an enemy. She was generous with every part of herself and all she owned. She never forgot a face or person she knew. She loved everyone unconditionally never discriminating anyone. She always forgave as quickly as she would be disappointed. She loved pretty things and bought her daughter and granddaughters beautiful things. Her heart, spirit and love were always like a child. She showered her sons and grandsons with money every chance see could even if it was her last dollar. Her heart was more kind than many, asking up until her last day if we were alright. Most important Margaret Ann loved the Lord with all her heart. She was known as a Christina equally as important was her love for the Mother Mary and Catholic practices and principals. “aunty Marg”. Later Margaret fell in love with Larry Cody, an old family friend, and in that partnership they had a son together in which they co-parented. They also remained very close friends throughout her life. Margaret Ann is survived by her 3 children, Anna Maria, Thomas Frederick and Jason Lee, her 4 grandchildren, Eric Ryan, Atia Marie, Kara and Alisha Rose, 7 great-grandchildren, Alex Don, Anthony Patrick, Isiah James, Nathan Lloyd, Jakar, Jaston, and Jacob Thomas. Other adopted or significant children and immediate family includingTravis Alexander, Roberto and Esmeralda, Sergio Omar, Dawna, Ashley and Danlya. In addition, she is survived by her biological family members William Blaumer, Sister Bonnie, sister-in-law Norma Jean, numerous cousins, nieces/nephews and 100’s of other biological and marital family, friends and acquaintances who have loved her dearly. Margaret Ann is preceded in death by her parents, as well as brother and many others family who are buried at Lincoln Memorial, Willamette National, and the Metropolitan Portland, Oregon area. The Funeral and Burial Services are public and will be held at Omega Funeral Services located at 223 S.E. 122nd Avenue, Portland, Oregon, 1:00 p.m., July 21st, 2018 in Portland, Oregon. Viewing will be 2:00 p.m. to 3:00 p.m. Wednesday, July 18th, 2018. The Burial will follow the funeral at 3:00 p.m., Lincoln Memorial Cemetery located at 11801 S.E. Mt. Scott Blvd., Portland, Oregon (Sunset Terrace, Row 449, Space 1). Flowers either live or fresh may be sent to Omega Funeral Services. Donations in lieu of flowers may be sent to assist in funeral expenses to Anna Grohs, at P.O. Box 1036, Molalla, Oregon 97038. The family of Margaret Ann wishes to thank all our family and friends for their kindness, love, financial and emotional support and diligent prayers during this most untimely and difficult time of our loss. May you all be blessed in all you do and live the rest of your days loving each other.